Ryan Giggs says he would not swap Marcus Rashford for any young star, believing the Manchester United forward to be the most exciting prospect in the world. 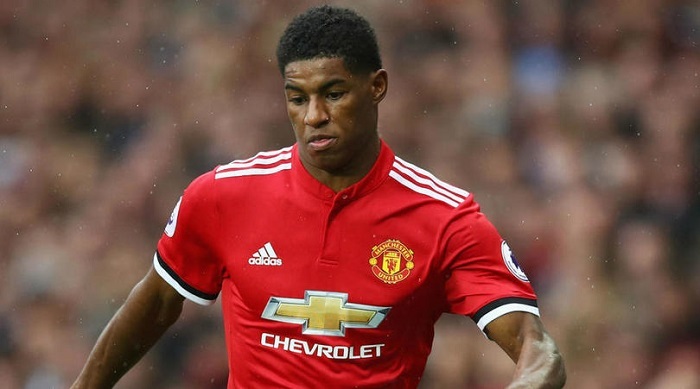 United great Giggs broke into the team at Old Trafford as a teenager in the 1990s, and Rashford’s emergence on the Premier League scene has been similarly impressive. Rashford – now 20 – has scored 13 league goals since breaking into the United first team, but his record is bettered by the 14 strikes of Manchester City youngster Gabriel Jesus. Giggs wrote in a column for Sky Sports: ‘I think the word for these two players is exciting. ‘They’re a bit different: Jesus has a better scoring record, but Marcus likes to match up with defenders and try something, which is what makes him great to watch. ‘I’ve worked with Marcus and seen him at close hand and how much of a talent he is. However, it is his work rate and commitment that are really what makes him such a valuable asset for Manchester United. ‘You wouldn’t swap him for any other young player right now.